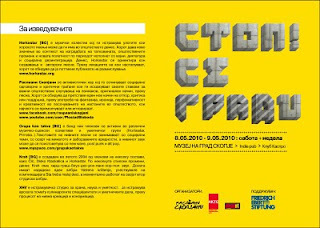 Zoran Poposki, transdisciplinary artist and author of Prostori na mokjta (Spaces of Power), will be speaking on "Public Space and Democracy: Public Art as Ethical Practice" at the City Museum in Skopje, on May 8, 2010. With Nebojsa Vilic, art historian and curator; Elizabeta Avramovska, School of Architecture; and Nikola Gelevski, publisher. 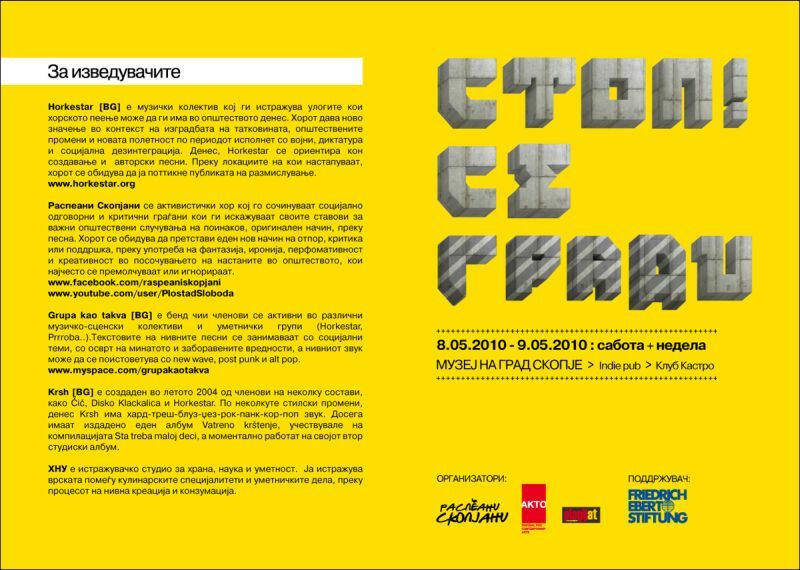 Moderated by Ivana Dragsic, the panel will discuss the growing usurpation of public space and modalities of its (re)contextualization.